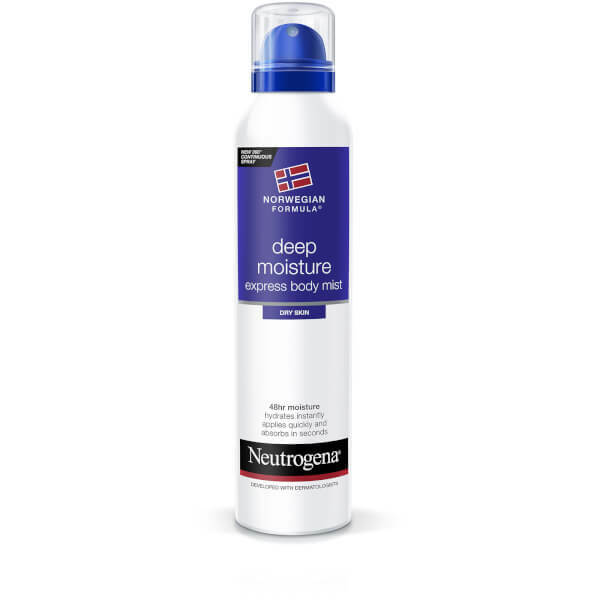 Quench skin's thirst with the Neutrogena Norwegian Formula Deep Moisture Express Body Mist, a moisturising formula that delivers instant hydration with 48-hour effect. 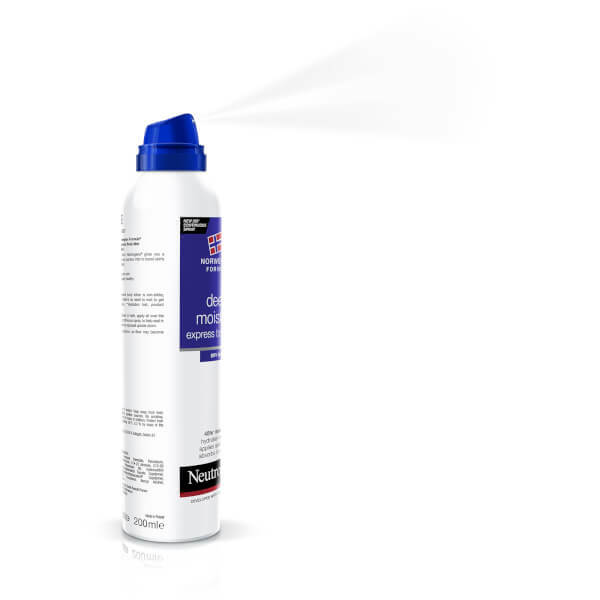 Quick, convenient and easy to use, the hydrating body mist has a new 360° continuous spray feature which allows you to spray at any angle for those hard-to-reach areas. 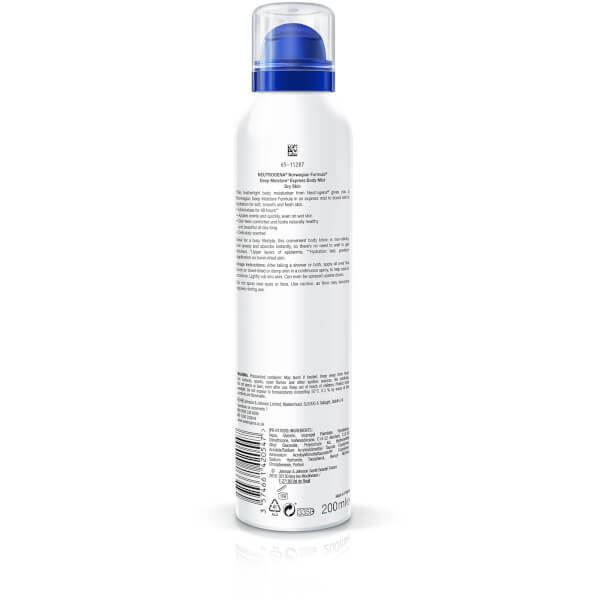 Ideal for busy and on-the-go lifestyles, the body moisturiser absorbs rapidly into skin for quick dressing, and leaves no sticky or greasy feeling. Applies quickly and evenly, even on wet skin. After taking a shower or bath, apply all over the body on towel-dried or damp skin in a continuous spray, to help seal in moisture. Lightly rub into skin. Can even be sprayed upside down. Note: Do not spray near eyes or face. Use caution, as floor may become slippery during use. [PR-017620] - Aqua, Glycerin, Isopropyl Palmitate, Petrolatum, Dimethicone, Isohexadecane, C14-22 Alcohols, C12-20 Alkyl Glucoside, Polysorbate 60, Hydroxyethyl Acrylate/Sodium Acryloyldimethyl, Taurate Copolymer, Ammonium, Acryloyldimethyltaurate/VP Copolymer,Sodium, Hydroxide, Tocopherol, Benzyl Alcohol, Chlorphenesin, Parfum.